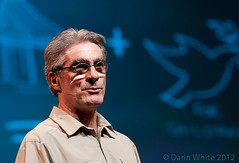 I shared these photos on makebright last week to tell a story about the great experience of TEDxWaterloo. 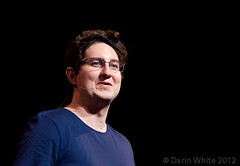 All part of the makebright mission to develop the local creative ecosystem. Nobody paid me to shoot these photos. 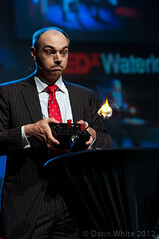 TEDxWaterloo asked me to help shoot the event for free and I respectfully declined: if I’m shooting for free, I’ll shoot it my way. And I *love* shooting this stuff. 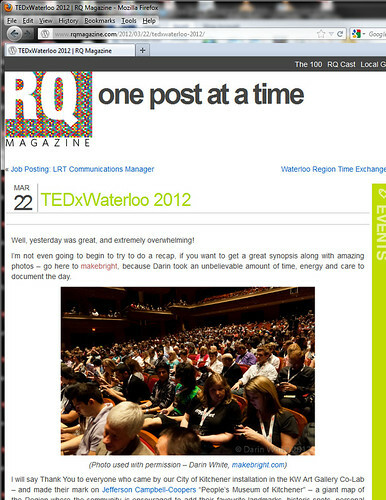 (Let me be double-clear: the blog fragments above are a 3rd-party not affiliated with the most-awesome TEDxWaterloo org.) At the risk of opening up a whole can of Lawrence-Lessig-remix-Cory-Doctorow-copyright worms that would require a sunny patio and many beers to discuss (how’s July? ), this post is me putting my hand out to the community and saying help a brother continue to do what he loves to contribute and what I guess, based on the feedback, my peeps like to look at. 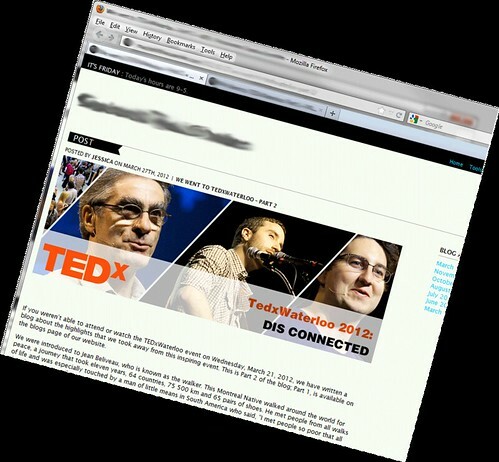 I started shooting TEDx at noon on Wednesday and pushed “Publish” at 6:32am the next day to share the blog post. No breaks. 18.5 hours work. My workflow is pretty well documented in this other post. All photos on makebright are for sale. Interesting trades considered. Most perplexing is that some of the parties that have ripped my work are, themselves, creative workers in the creative for-profit business who, presumably, partner with photogs or buy stock photos in the course of delivering their product. Hey! I’m one of you and everybody’s gotta eat. 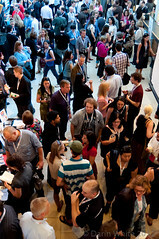 Contacting each individual to have an awkward conversation every time I find my pics in the wild isn’t terribly efficient, so please consider this post my modest request: if you’re paying your landlord, printer, graphic designer, and web developer, please consider throwing a few bucks to a photographer, too. I’ve been in touch with the firm noted above and they have apologized, opted not to purchase, and promised to pull the photos down. Ok, let’s refocus on the positive. Where’s it going right? H. gets it. She calls me up, we work something out, and boom: there’s the photo. Easy. Look, people that know me know that I’m a chilled out guy and that it pains me a bit to raise this issue on makebright where I’ve kept it triple-positive over the last year and a half. When people have snagged my photos of themselves for their facebook profile, I think “Gee, would have been nice if they asked or at least gave credit, especially since *that* dude is a photographer too”. But when businesses start grabbing my pics and croppin’ or photoshoppin’ my watermark off and using them without permission/credit/payment, I go from WTF? 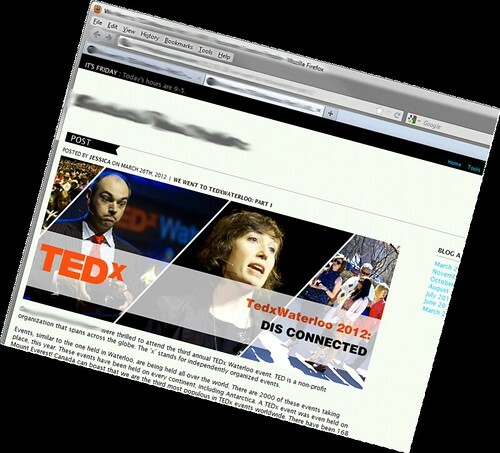 to reaching out to my network in about 12 seconds. Comments welcome and encouraged, as always. This entry was posted in photography and tagged unauthorized photo rips. Bookmark the permalink. I’m sorry to hear this… You would think a “creativity firm guided by a people-focused, design-driven process that has the transformative power to help…” would know better. Looks like they need a copyright workshop. Thanks for raising this difficult issue. We need to come up with some radically new support models for artistic content that seems to end up in public use–practices which I argue are more sloppy than sinister, but damaging in both the specific and the aggregate, as you note. Let’s find a Waterloo solution! For sure, Stephen! I’m open to all discussion. I’m a very pro-free culture guy, but while I’m happy to expound on the benefits of contributing to the Creative Commons or whatever (no beer for me, thanks, but I’ll happily join you on a patio), if you’ve made an informed decision to exercise the rights afforded you under copyright law, I’m not going to argue. It’s your right to protect your work and to seek compensation from it. And unless you’re doing something unreasonable and disproportionate (you’re not, but organizations whose names end with two A’s tend to), I’ve totally got your back.